The Civil Aviation Authority of Singapore (CAAS) has suspended all Boeing 737 MAX operations into and out of the country until further notice following the crash of Ethiopian Airlines flight ET302 on Sunday. The suspension, announced on Tuesday afternoon, affects Singapore Airlines’ regional wing Silkair, as well as foreign carriers China Southern Airlines, Garuda Indonesia, Shandong Airlines and Thai Lion Air. “The Civil Aviation Authority of Singapore (CAAS) is temporarily suspending operation of all variants of the Boeing 737 MAX aircraft into and out of Singapore in light of two fatal accidents involving Boeing 737 MAX aircraft in less than five months,” the CAAC said in a statement. The CAAS suspension followed similar moves from regulators in China and Indonesia to suspend 737 MAX flights following the crash of an Ethiopian Airlines 737 MAX 8 operating flight ET302 on Sunday that killed all 157 people on board. While China and Indonesia’s suspension applied to their own national carriers, the CAAC suspension goes a step further by banning all 737 MAX operators from flying into and out of Singapore. The Ethiopian Airlines accident involved a 737 MAX 8 that crashed shortly after it took off from Addis Ababa and killed 157 people on board. Investigators at the scene have retrieved the flight data recorder and cockpit voice recorder from the crash site. In October 2018, a Lion Air 737 MAX 8 plunged into the Java Sea minutes after taking off from Jakarta. There were no survivors among the 188 passengers and crew. CAAS said it was working with Changi Airport Group and the affected airlines to minimise any impact to travelling passengers. “CAAS has been in regular contact with SilkAir on its MAX operations since last year, and has been satisfied that it has been taking appropriate measures to comply with the necessary safety requirements,” the CAAS statement said. CAAS said it was closely monitoring the situation and was in close communication with the US Federal Aviation Administration (FAA) and other aviation regulators, as well as Boeing. Further, CAAS said the suspension would be reviewed as relevant safety information became available. 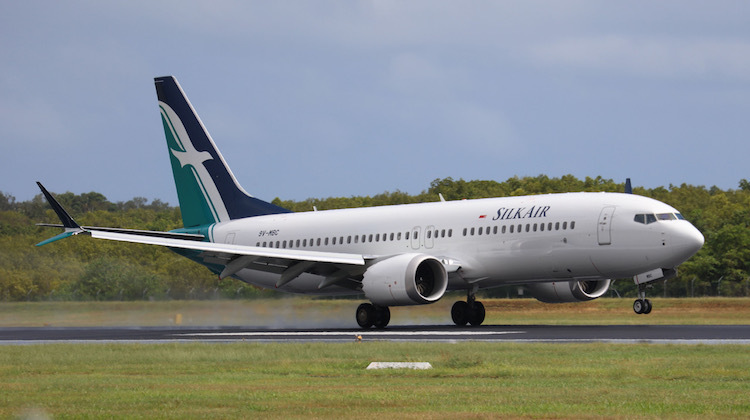 The decision had implications for Australia, given Silkair uses the 737 MAX on flights to Cairns and Darwin from its Singapore hub. However, Silkair could serve the two routes with 737-800s, which are unaffected by the CAAC ruling. 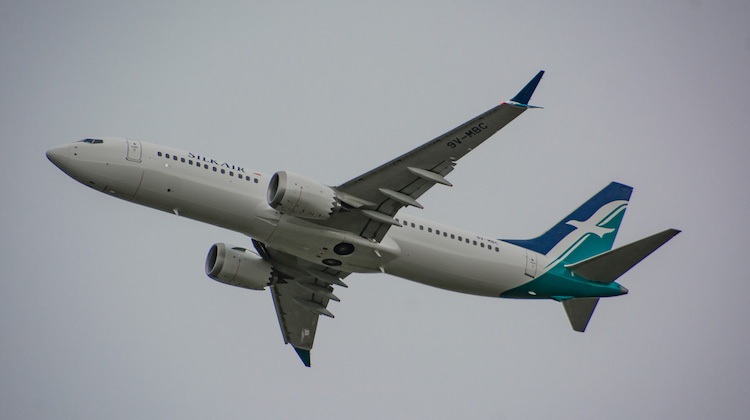 Silkair, which currently had six 737 MAX 8s in its fleet, said it would contact affected customers. “All six aircraft have been grounded in Singapore and will not be returned to service until further notice. Earlier on Tuesday (Australian time), the US FAA issued a Continued Airworthiness Notification to the International Community (CANIC) regarding the operation of the Boeing 737 MAX 8 and MAX 9. The FAA said it was too early to determine a cause of the accident and whether there were any parallels with the crash of a Lion Air Boeing 737 MAX 8 in October 2018. “External reports are drawing similarities between this accident and the Lion Air Flight 610 accident on October 29, 2018,” the FAA notice said. Boeing said in a statement published on its website on Tuesday (Australian time) that safety was a “core value for everyone at Boeing and the safety of our airplanes, our customers’ passengers and their crews is always our top priority”. “The 737 MAX is a safe airplane that was designed, built and supported by our skilled employees who approach their work with the utmost integrity,” Boeing said. Realistically the Australian CA should follow Singapore’s lead and also bam all airlines operating Boeing 737-8 and 737-9 MAX aircraft flying into or rom Australia airspace until this issue is sorted out and Boeing confirms that these aircraft are now safe, I for one will be refusing to fly on all 737 MAX aircraft until this is resolved. Sorry to say, but Boeing are trying to copy Airbus safety systems and cross crew qualifications for years now, and unfortunately, the 737 is a 1950’s a/c trying to be revanped….. not going to work. It’s not the aircraft, which is a sound design, but the computer systems trying to second guess what is happening to the aircraft in a nose up attitude. There should ALWAYS be an override switch to enable hands-on flying in ALL aircraft. Never trust people’s lives to a computer! The suspect software\system should be removed entirely from the aircraft. Two pilots and existing instrumentation has been adequate for years. It seems to me this suspect system is part of the move to eventually remove pilots from the cockpit.